If you are a car buff you’ll be in your glory at the V8. Every room is an homage to some kind of classic car. Its location near the Stuttgart Motorworld makes it the perfect addition to the area and its 4-star accommodations will make for an even more unforgettable experience. 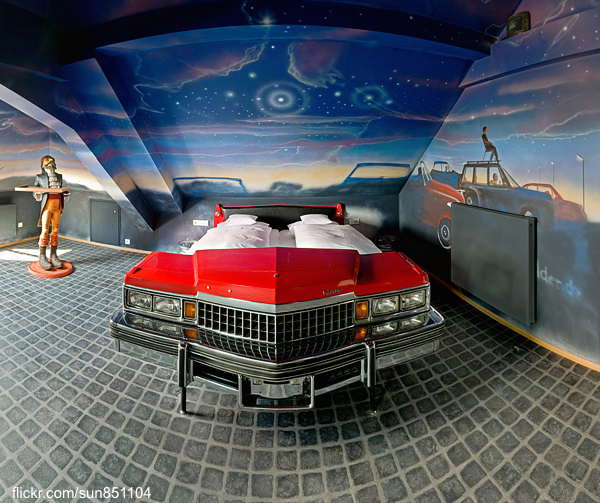 Each room also has its own theme like a Car Wash, Route 66, and even a gas station room that features Herbie the Love Bug.